Stedman is the affordable option for purchasing dependable, high-quality replacement wear parts and castings for multiple types of crushing equipment. It has happened to all of us; we have a great tool, possibly even our favorite, and when it finally needs a replacement part we are stuck hunting the internet and watching online auctions because the manufacturer discontinued the model. It’s frustrating that we are forced to buy the newest and sometimes less effective items just to get support from the manufacturer. At Stedman we support all of our equipment no matter the model or production date. From factory original replacements to wear items, we provide you the parts you need when you need them. 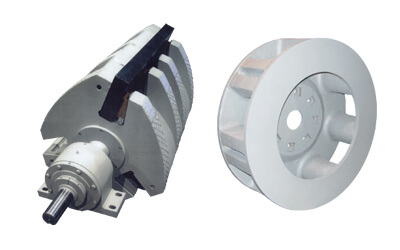 For after-sales support, Stedman has a complete inventory of impact crusher parts and spares including breaker bars, wear liners, bearings, electrical components and shafts. Cage mill parts including sleeves, bands and disks, are stocked for quick cage assembly. After the sale is when you’ll truly appreciate Stedman Machine Company. All of our people are focused on industrial size reduction. You can be assured of dealing with experienced engineers, parts and service partners. Contact us to discuss possible upgrades or planned rebuilds for your Stedman equipment.